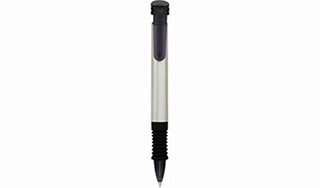 Stylish silver barrelled pen with translucent clip and ribbed rubber grip. Jumbo Refill. Black Ink.